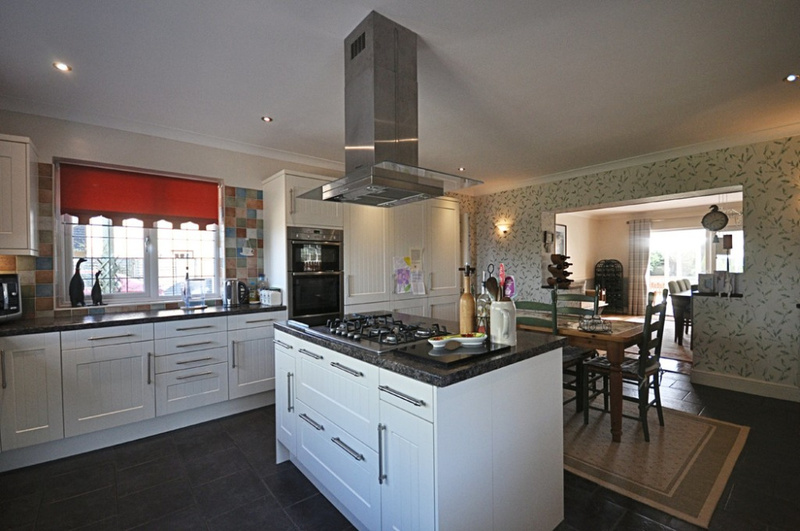 BOASTING AN INDIVIDUAL POSITION, THIS SPACIOUS FOUR BEDROOM DETACHED HOUSE, OVER (2400 SQ FT) ENJOYS A BEAUTIFUL RURAL OUTLOOK OVER "WORTHAM GREEN". 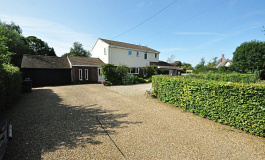 FURTHER BENEFITING FROM SECLUDED/PRIVATE SOUTHERLY FACING REAR GARDENS, (0.33 ACRE PLOT STS) AND DOUBLE LENGTH GARAGE. 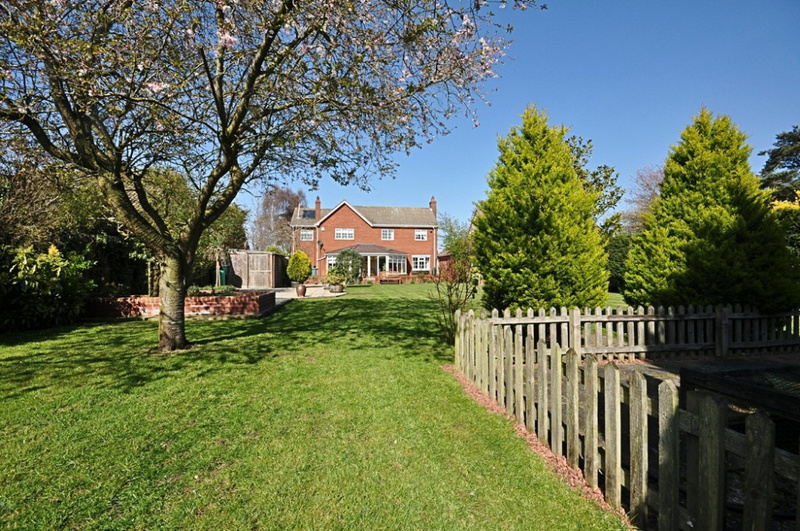 SITUATION Found in a tranquil and more secluded situation the property enjoys a most pleasing position set back off Wortham Green and enjoying beautiful views over the un-spoilt common land. 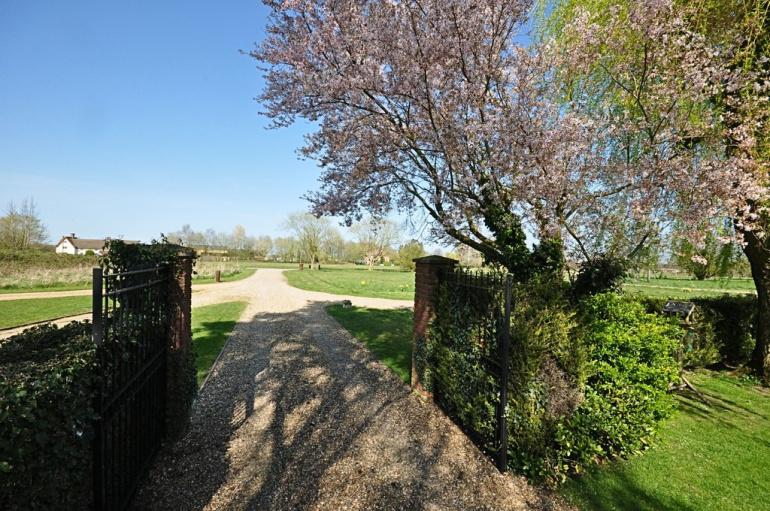 The traditional and attractive village of Wortham lies off the A143 on the North/Suffolk borders and is a well-established and well served village with a beautiful assortment of many period and attractive properties all predominantly along a large village green. There is still the benefit of good local amenities by way of having a public house, village shop, tea room, schooling and village hall with sports facilities, (also within the Hartismere school catchment). A more extensive and diverse range of day to day amenities and facilities can be found just some 4 or so miles to the east within the historic market town of Diss further having the benefit of a mainline railway station with regular/direct services to London Liverpool Street and Norwich. 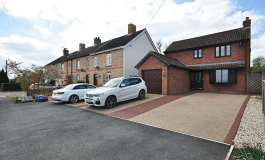 DESCRIPTION The property comprises of a substantial and spacious four bedroom detached house having understood to have been built in the 1980's and of traditional brick and block cavity wall construction under a pitched interlocking tiled roof. 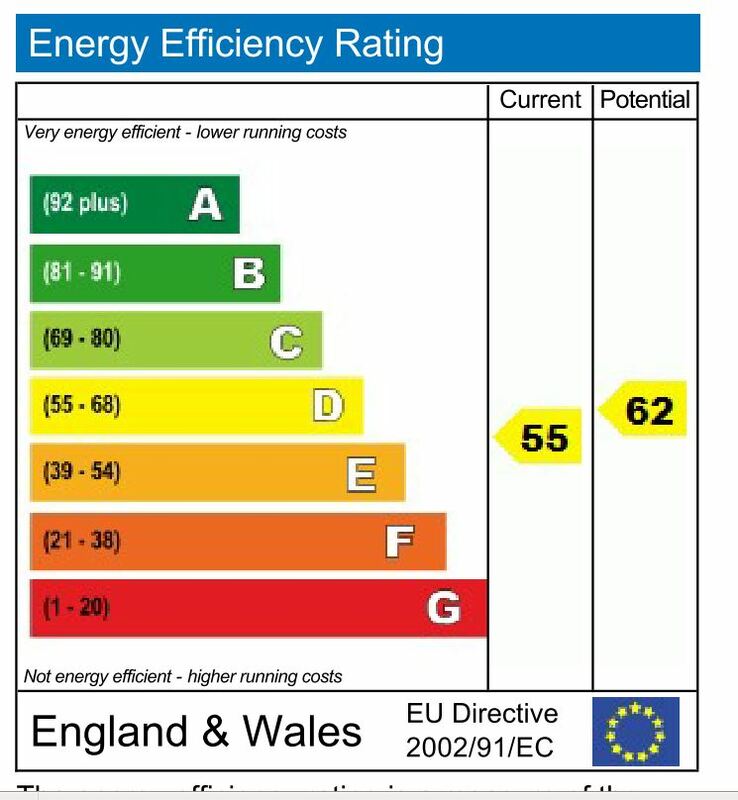 With the benefit of the installation of replacement sealed unit upvc double glazed windows and doors whilst being heated by an oil fired central heating boiler via radiators. 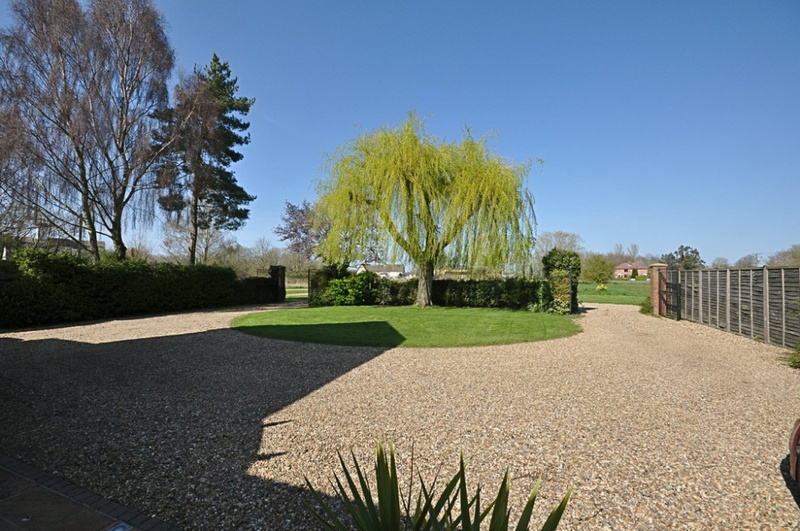 Throughout the property is presented in a most excellent decorative order having been well-maintained and enhanced by the current vendors in their time of ownership. 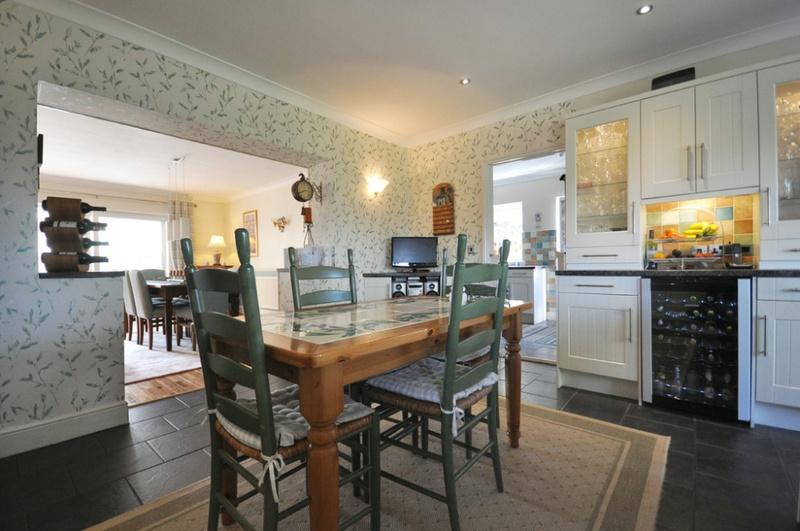 There is a good deal of versatile living space with the property having well-proportioned rooms all flooded by plenty of natural light. 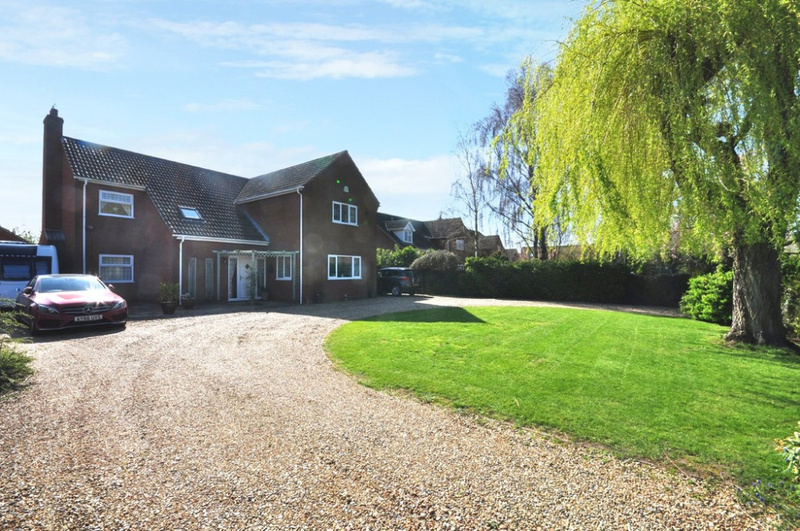 EXTERNALLY The property is found set well back off the green approached via a long shingle driveway and in turn having double wrought iron gates giving access onto the driveway leading up to the house and giving extensive off-road parking for a number of vehicles. Adjacent to the house is the double length garage with further potting shed to rear. The main gardens are found to the rear of the property enjoying a southerly aspect and being well stocked and established. 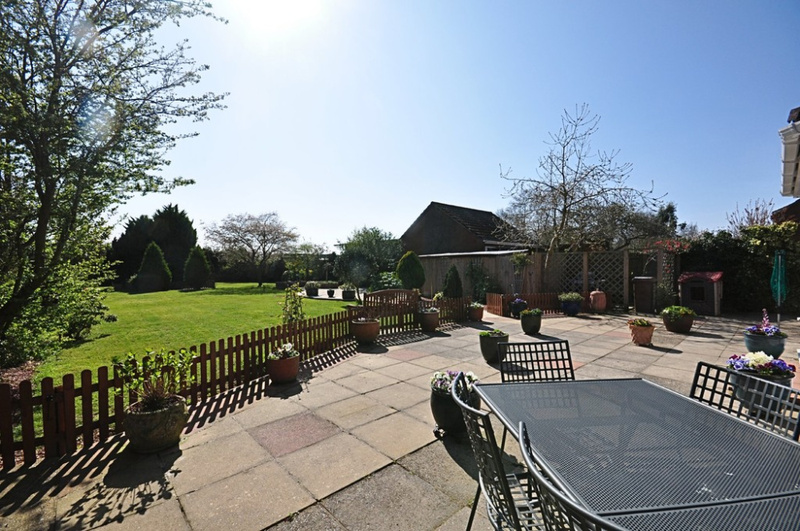 Abutting the rear of the property is a paved patio area creating an excellent space for alfresco dining enjoying a southerly aspect and having views over the gardens and established tree line beyond. 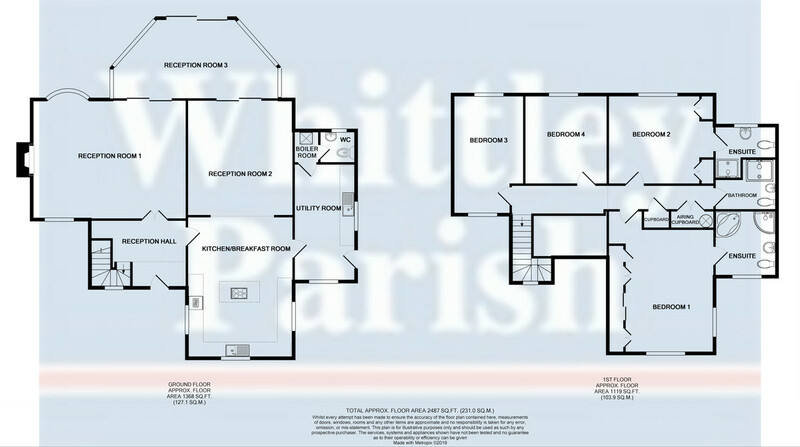 RECEPTION HALL: 9' 9" x 13' 5" (2.99m x 4.09m) Access via a newly installed composite double glazed door. Part gallery style landing above. Pine staircase rising. Double doors giving access to the reception room. Further door to side giving access to the kitchen/breakfast room. RECEPTION ROOM ONE: 16' 1" x 21' 0" (4.92m x 6.41m) Found to the rear aspect of the property and being a double aspect room. Sliding upvc double glazed doors giving access through to reception room three. 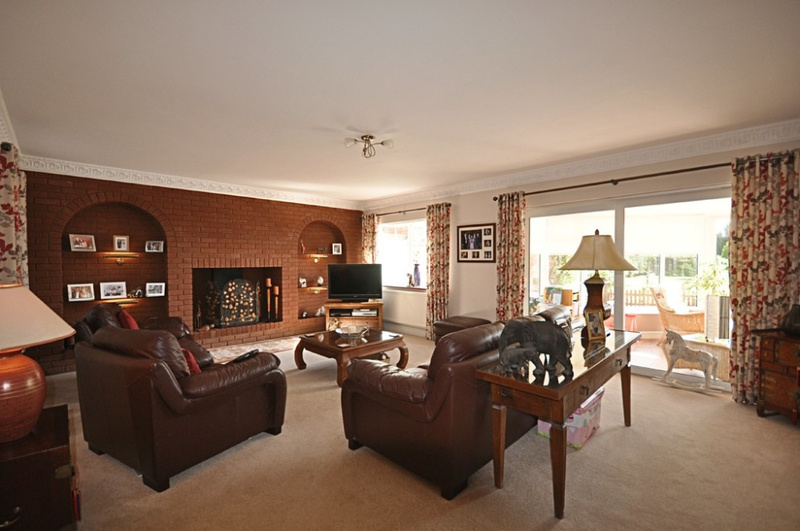 A focal point of the room being the open fireplace with inset gas fire. RECEPTION ROOM TWO: 15' 9" x 14' 6" (4.82m x 4.42m) Found towards the rear of the property and used as a formal dining room with arch giving access through to the kitchen area. 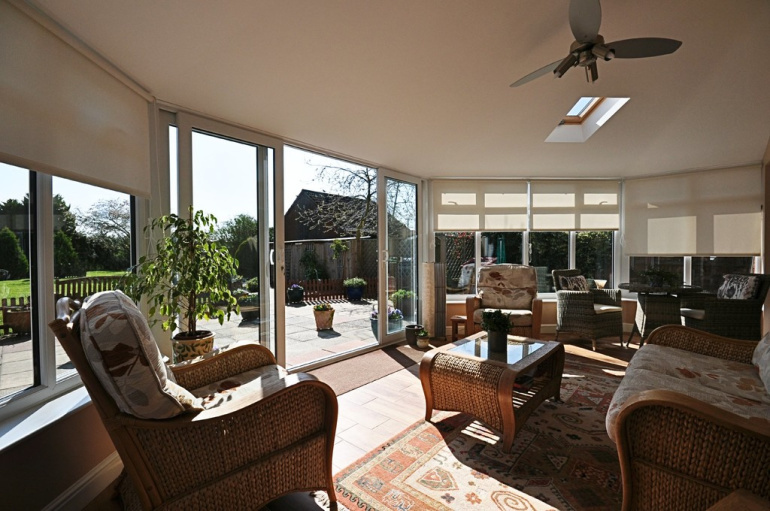 Further upvc double glazed sliding doors giving access to reception room three. Solid wood flooring. 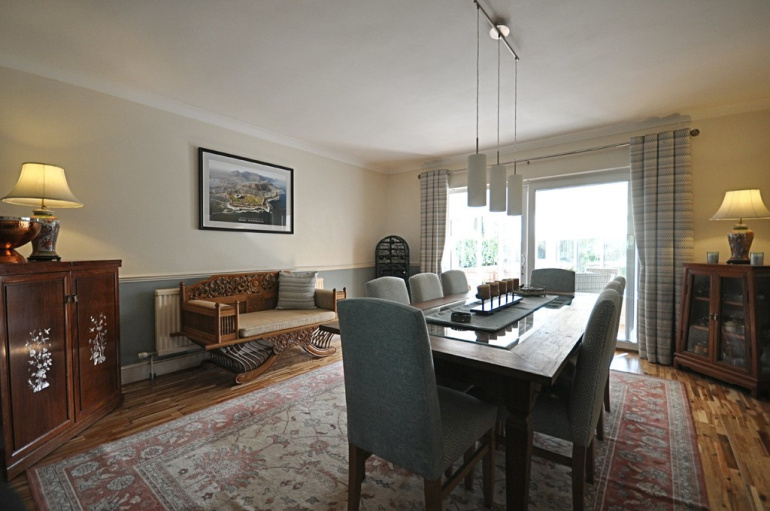 RECEPTION ROOM THREE: 11' 0" x 23' 7" (3.36m x 7.21m) Found to the rear of the property and enjoying views and direct access onto the rear gardens and paved patio area. Two Velux windows above. Tiled flooring flowing through. Under floor heating. 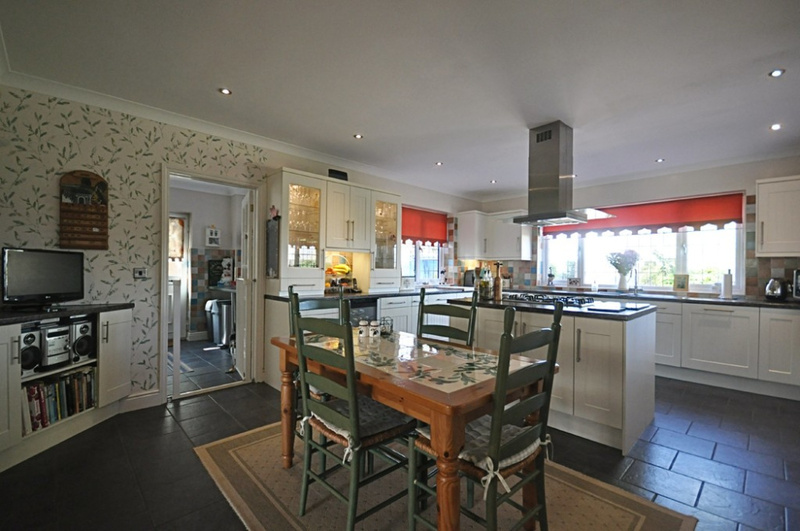 KITCHEN/BREAKFAST ROOM: 19' 3" x 14' 6" (5.88m x 4.42m) With window to the front aspect enjoying particularly pleasing views over the green beyond. The kitchen offers an extensive range of wall and floor unit cupboard space with marble effect roll top work surfaces, floating island housing a five ring gas hob with extractor above and storage below. NEFF double oven to side. 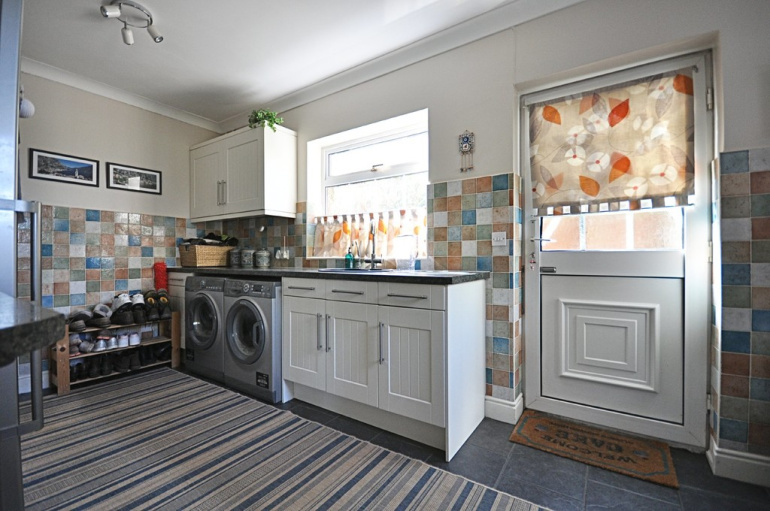 Fitted fridge/freezer and dishwasher etc. Tiled flooring. Secondary door giving access through to the utility room. Under floor heating. UTILITY: 15' 11" x 8' 4" (4.86m x 2.56m) With windows to the front and side and further upvc double glazed door giving external access to side. The utility has a good range of floor mounted unit cupboard space with marble effect roll top work surfaces, inset sink and space/plumbing for automatic washing machine or tumble dryer etc. Further door to rear giving access through to the cloakroom/wc. Housing water softener. 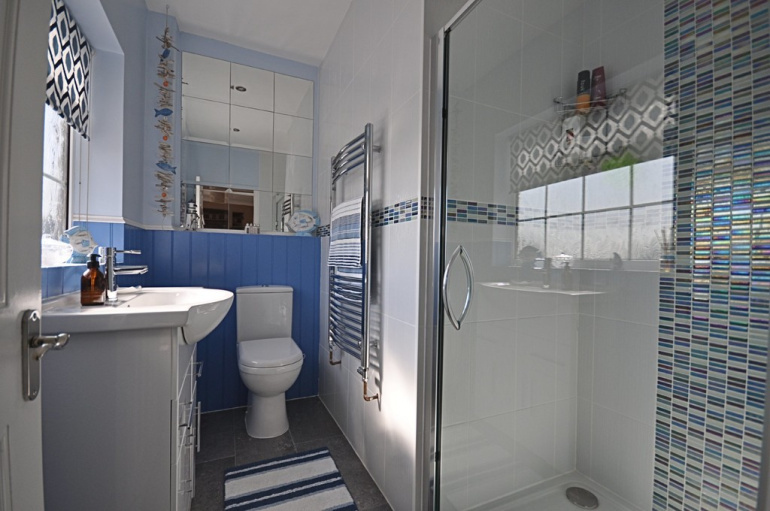 CLOAKROOM/WC: 4' 5" x 8' 5" (1.35m x 2.57m) With frosted window to the rear aspect, housing the oil fired central heating boiler with secondary door giving access through to the wc comprising of a low level wc and wash hand basin. Tiled flooring. LANDING: 13' 5" narrowing to 3'6" x 28'9" (4.11m narrowing to 1.07m x 8.78m) Window to front. Six panel internal doors giving access to the four bedrooms and bathroom. Double built-in storage cupboard to side and further single storage cupboard beyond. BEDROOM ONE: 19' 11" narrowing to 16'11" x 14'6" (6.08m narrowing to 5.18m x 4.42m) With windows to the front aspect enjoying beautiful elevated views over the green and beyond. 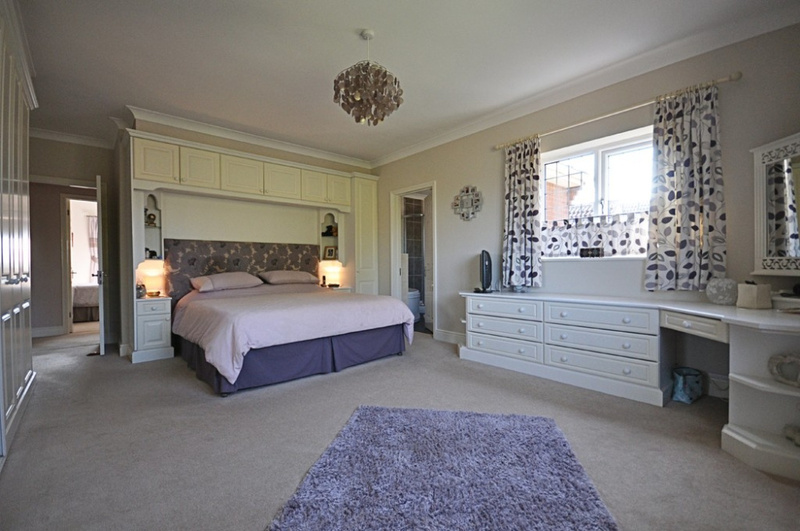 A large master bedroom with a good range of fitted storage units and dressing table. Further having the luxury of en-suite facilities. EN-SUITE: 8' 11" x 8' 4" (2.72m x 2.56m) With frosted window to front and comprising of a replaced suite with corner bath, double tiled shower cubicle, low level wc and wash hand basin over vanity unit. Heated towel rail to side. BEDROOM TWO: 12' 2" x 14' 6" (3.72m x 4.44m) With window to the rear aspect being a spacious double bedroom again having the luxury of en-suite facilities. 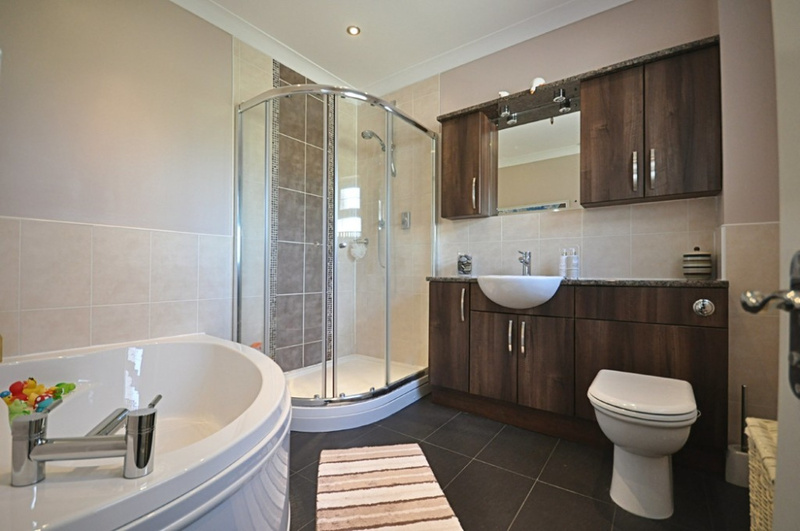 EN-SUITE: 3' 7" minimum measurements x 7'10"(1.10m (minimum measurements) x 2.40m With frosted window to rear and comprising of a tiled shower cubicle, low level wc, wash hand basin over vanity unit and heated towel rail. This has recently been upgraded. BEDROOM THREE: 16' 2" x 9' 10" (4.93m x 3.01m) With windows to the front and rear aspect giving pleasing views. 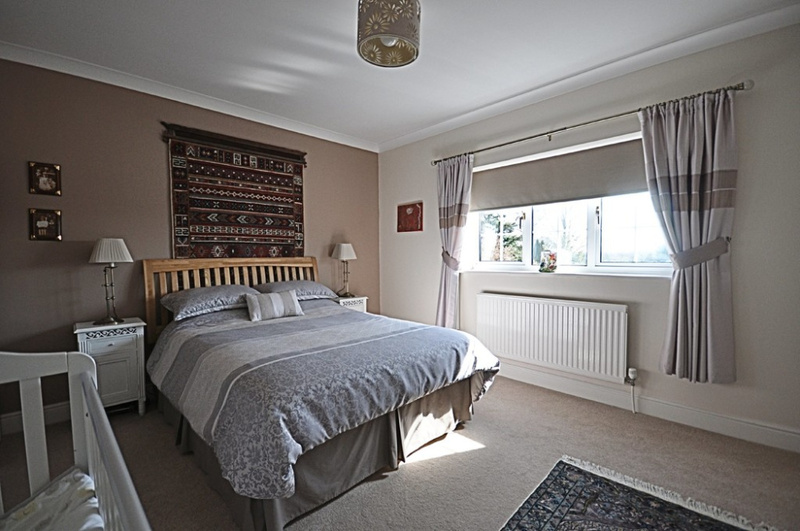 Another spacious double bedroom. BEDROOM FOUR: 12' 2" x 11' 5" (3.72m x 3.48m) With window to the rear aspect and although being the smaller of the four bedrooms still a generous double bedroom. 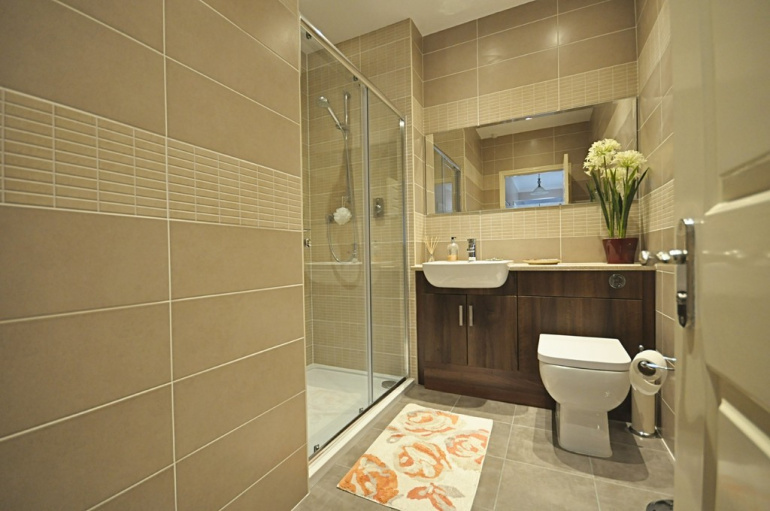 BATHROOM: 7' 3" narrowing to 4'3" x 8'3" (2.22m narrowing to 1.32m x 2.54m) Having been just recently upgraded. The bathroom is in an excellent condition comprising of a large double tiled shower cubicle, low level wc, wash hand basin, heated towel rail and fully tiled.